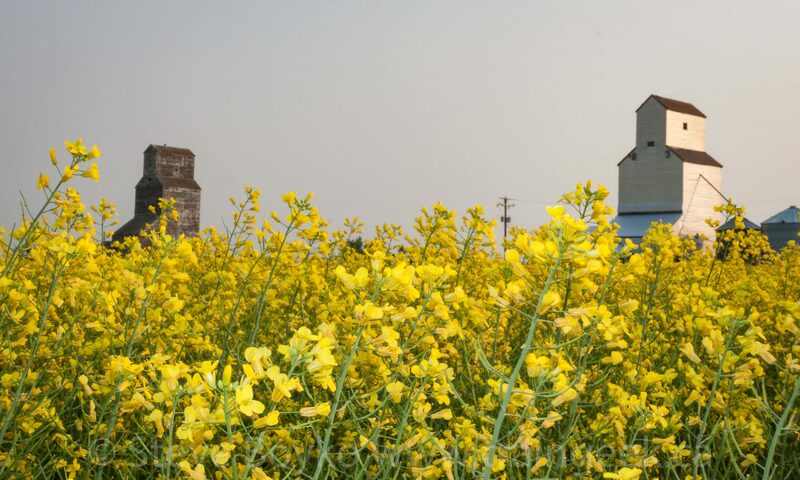 Oakville, MB grain elevator, June 2009. Contributed by Steve Boyko. 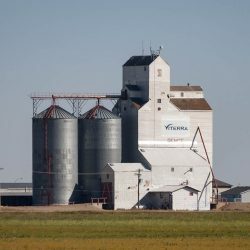 The very first Manitoba grain elevator that I photographed was the Oakville grain elevator, on the CN Rivers subdivision, the main line through Manitoba. 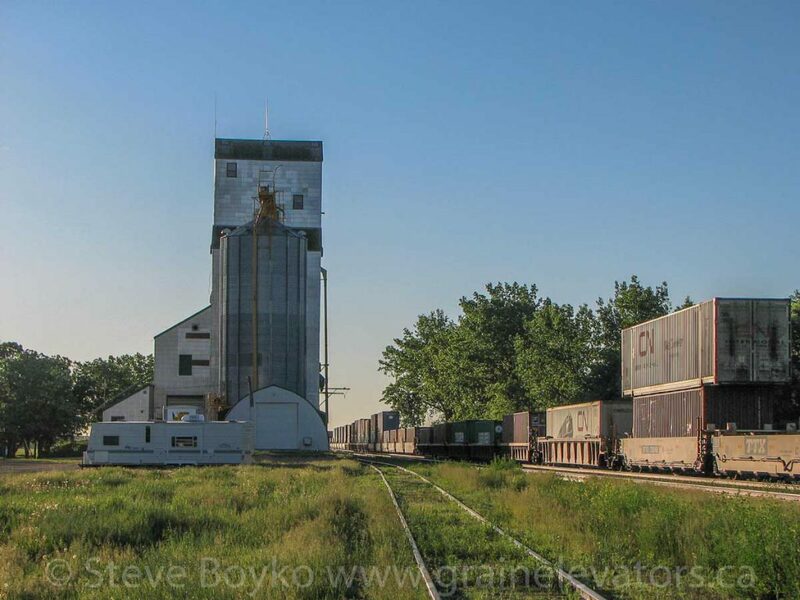 I went there to photograph a train and I thought the elevator would provide a nice backdrop. 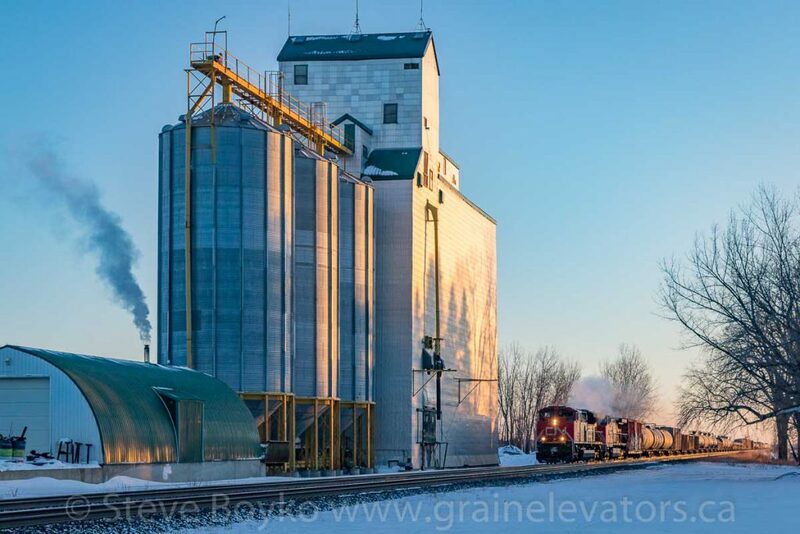 CN 8953 passes the Oakville, MB grain elevator, Dec 2017. Contributed by Steve Boyko. A United Grain Growers (UGG) elevator, present in the early 1980s but not now. 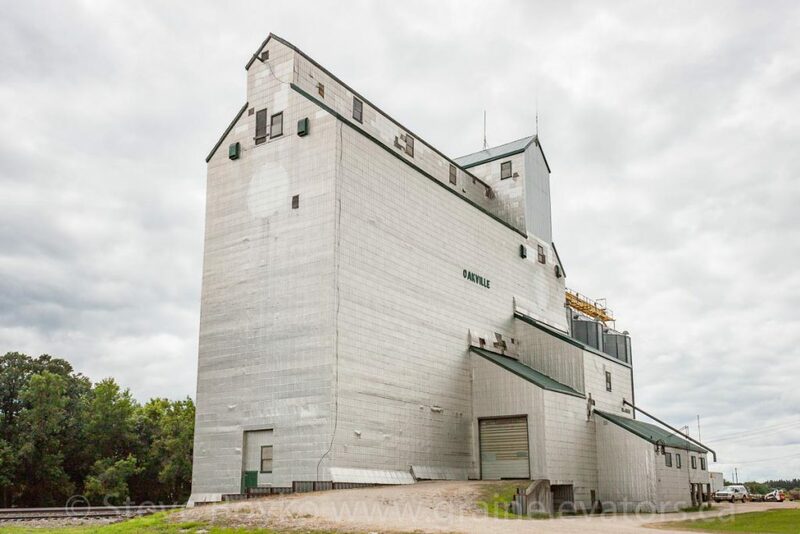 Oakville, MB grain elevator, July 2014. Contributed by Steve Boyko. 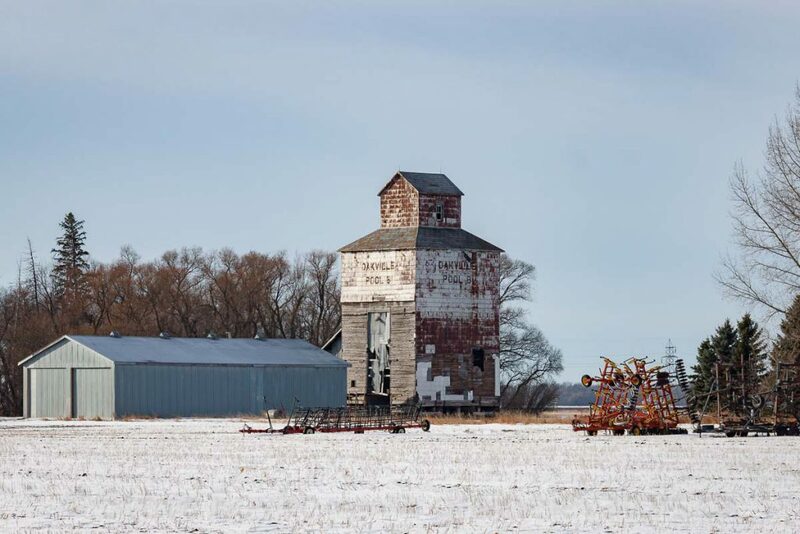 The Oakville, MB “B” grain elevator, Dec 2017. Contributed by Steve Boyko. 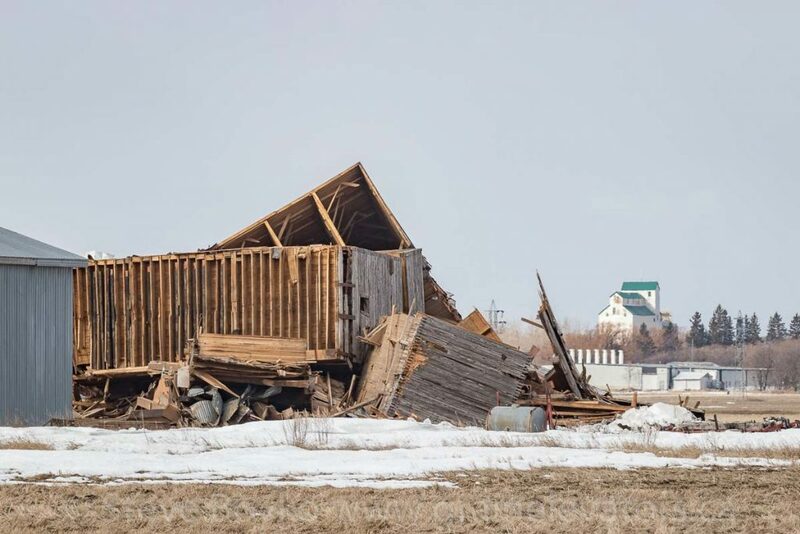 The former Pool “B” elevator was located on a farm just east of town. This elevator appears to have been an Ogilvie Mills elevator prior to joining the Manitoba Pool. This elevator was demolished in late March 2019.